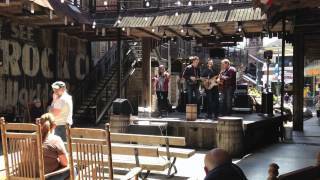 Only steps away from downtown Gatlinburg is the Best Kept Secret. This condo style vacation rental provides a comfortable place for guests to stay during their Tennessee vacation. Walking distance to some of the best restaurants, attractions, shopping, and even the Tramway. Inside, the vacation rental displays lovely decor. The living room features a cozy gas fireplace and plenty of seating. The dining area and kitchen are just off the living room. The family chef will appreciate the full kitchen for meal prep. Step outside for some fresh air on the patio and take in the fresh mountain air. Sleeping arrangement: The master bedroom has 1 king bed with an ensuite bathroom. There is a whirlpool tub and shower. The second bedroom has 2 full sized beds and nearby bathroom. Both bedrooms and the living room has cable TV. The advantage of staying at this condo style vacation rental is that guests have access to the outdoor pool and hot tub. The location of this property is also what adds to it’s uniqueness. Being steps away from local shops and eateries is super convenient. During your time in Gatlinburg, don’t forgot to check out the top destinations: Ober Gatlinburg (skiing and amusement park), Ripley’s Aquarium, Gatlinburg SkiLift, and Gatlinburg Space Needle. If you enjoy the outdoors, Gatlinburg is the place for you. 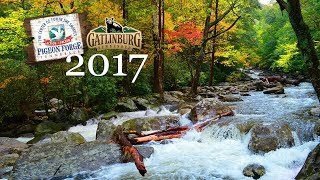 Gatlinburg, TN provides some of the best hiking in the country. There are over 800 miles of hiking trails in the Great Smoky Mountains National Park. Waterfalls gurgle, sing, and roar along the Smoky Mountain hiking trails. Nearly 120 species of birds breed in the National Park, so keep your eyes open for native birds. The local streams in the mountains are a great place to cast a line and fish. Get access to some of the finest trout fishing in the area. There is also professional fishing guides available. Get ready to rock the rapids with the whitewater rafting opportunities here in Gatlinburg. There are class-III and IV rapids. All experience levels welcome. Another fun outdoor activity is horseback riding in the mountains. The Sugarland Riding Stables and Smoky Mountain Stables are both great options. Cyclists have several options for riding around the Great Smoky Mountains National Park. Cades Cove is an 11 miles loop with historic homesites, wildlife, and scenic views. Although there are plenty of outdoor activities for the group to enjoy, don’t forget about the local shops. There are galleries, malls, specialty shops, arts & crafts, specialty foods, and outdoor outfitters. Here you’ll find some of the most unusual and unique stores in America.